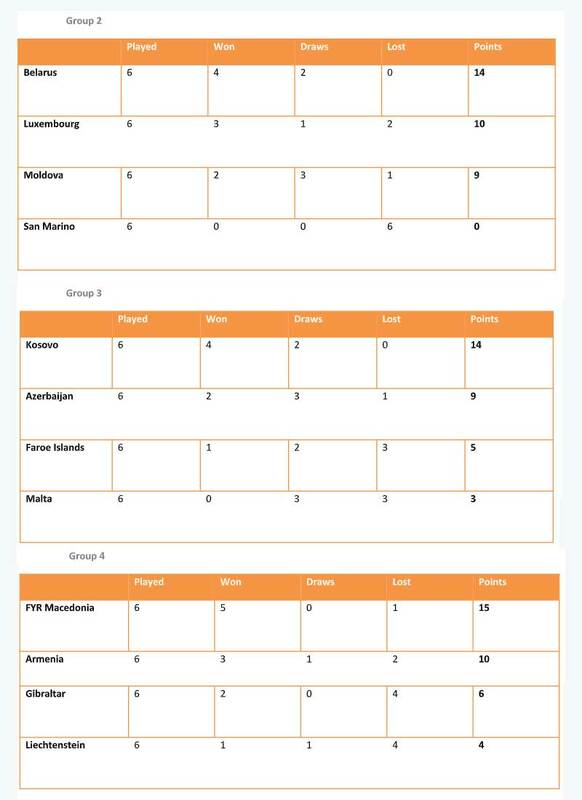 Here is all the information about the UEFA Nations League 2018-19 semi-finals teams and group standings. 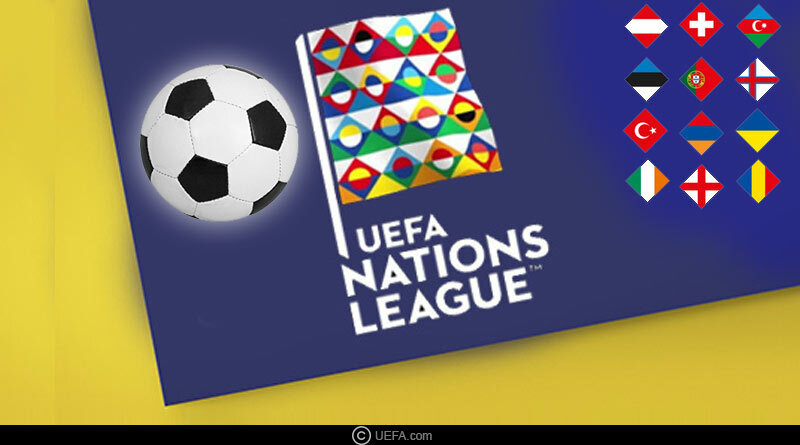 The UEFA Nations League moves to its business end with the identity of the four teams to make the semi-finals of the competition made known to us. A frantic final day of the league saw the Netherlands bounce back from a two-goal deficit against Germany to overturn a 2-0 defeat to a 2-2 draw and with it cement their place as the last side to make the knock-out stages at France’s expense. They joined England, Portugal and Switzerland in the semi-finals to be contested in June 2019. Moving on with UEFA Nations League 2018-19 semi-finals teams, the draw for the semi-finals will take place on December 3 to decide which teams square off against each other for a place in the summit clash. The draw which will be aired live from Dublin will decide the two pairings for the semi-finals, with no seeding or restrictions in place. One of the semi-final ties will be drawn out to determine which provides the ‘home’ team for either match. The tie involving the hosts Portugal will take place on Wednesday 5 June, with the other last-four fixture the next day. The final and the third-place match are scheduled for Sunday 9 June. The Portuguese Football Federation (FPF) has proposed Porto’s Estádio do Dragão and the Estádio D. Afonso Henriques in Guimaraes as host venues. 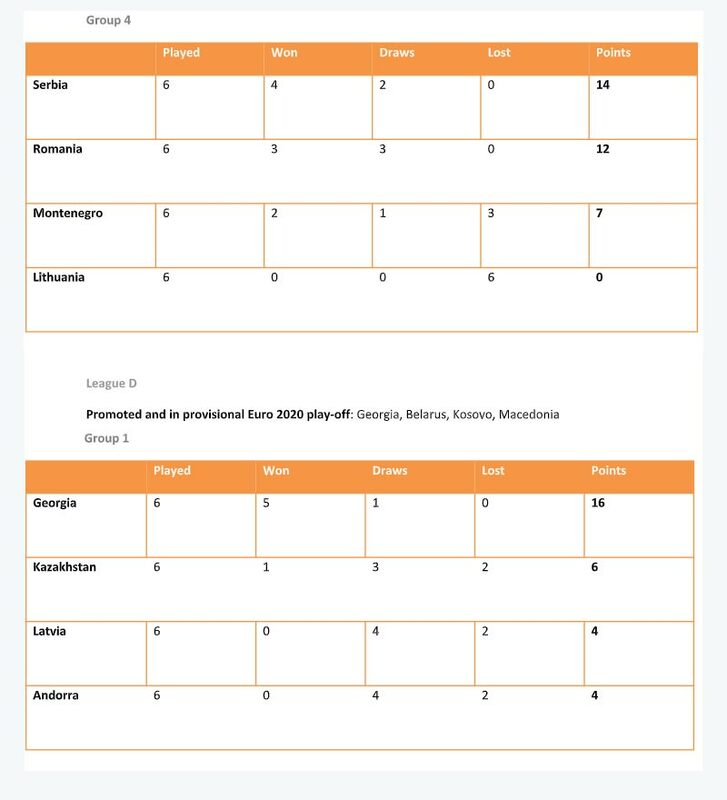 We also bring you the final group standings from League A-D involving the 55 participating nations along with the promoted and relegated teams in each League.